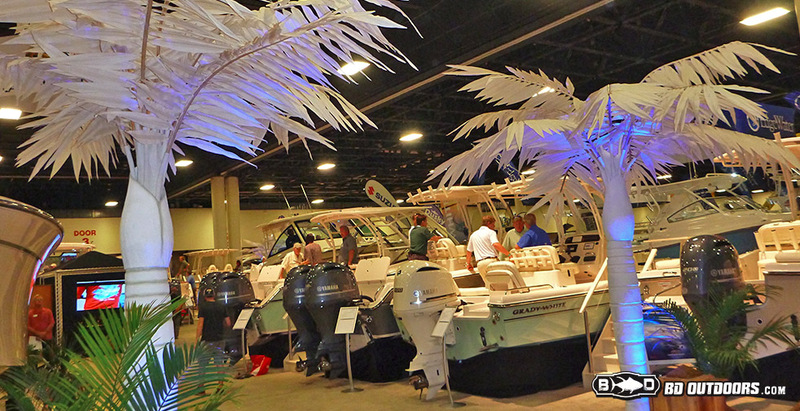 Check out the latest toys and tools for fisherman at the recent Ft. Lauderdale Boat Show. 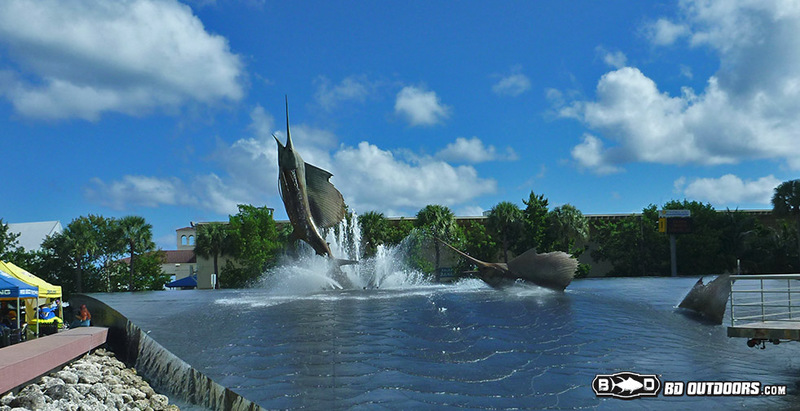 This incredible sailfish sculpture and fountain greets guests from all over the country. The worlds fastest gecko was on hand at the entrance. 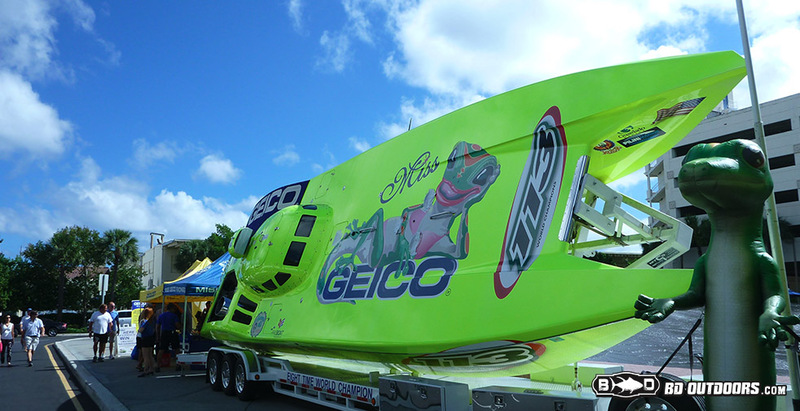 The Miss Geico race boat was tipped up showing all her glory. 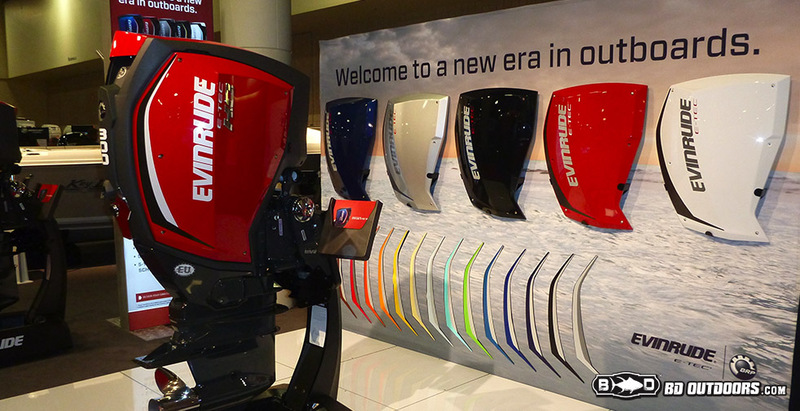 Evinrude’s new E-Tech G2 was on display and it is beautiful and unique. 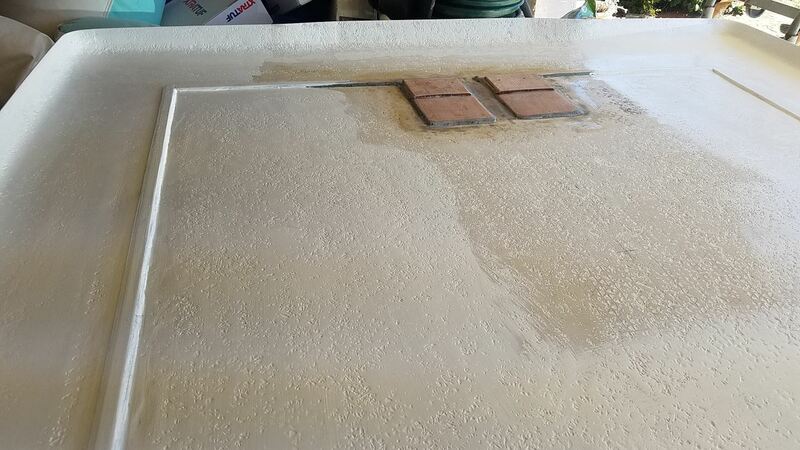 A totally new design from scratch and the only one done soley by BRP. Built around the all important combustion side of the equation, the G2 is more powerful, fuel efficient and cleaner that anything on the market. The new Evinrude E-Tech G2 is not just a pretty face, check it out. 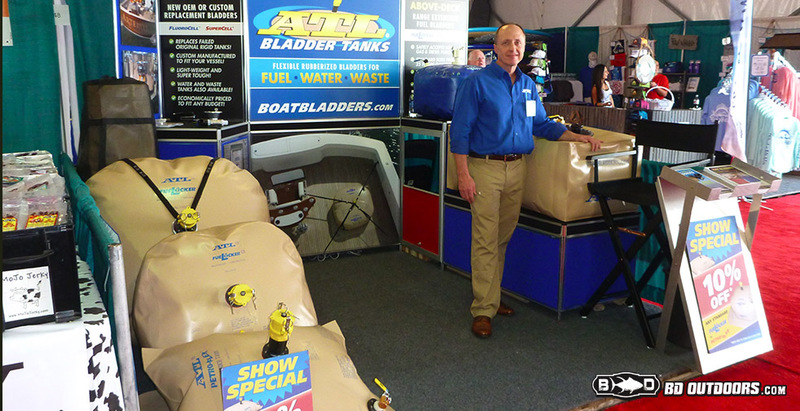 The crew from ATL bladder tanks were here with plenty of examples and deals on their range-extending fuel cells, water tanks and more. If you need a bladder, they can build it. ATL offers stock and custom options and I have owned two of them. They are the answer. 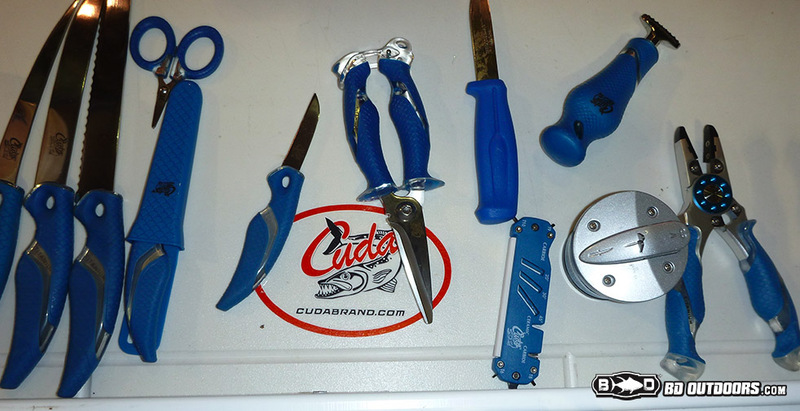 Cuda Brand tools are becoming more popular as the word spreads about their durability and function at very reasonable prices. I have begun testing them at home and so far its a thumbs up. 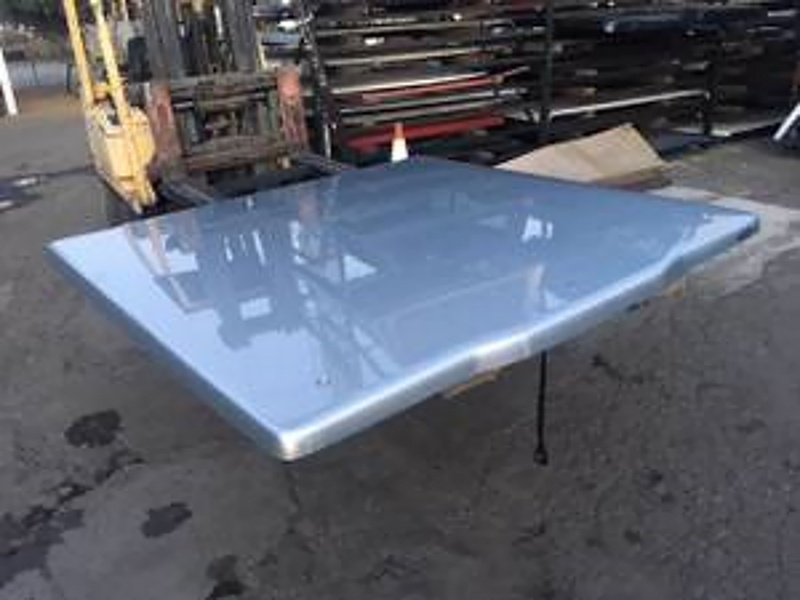 They are titanium bonded for maximum protection against corrosion and rust. 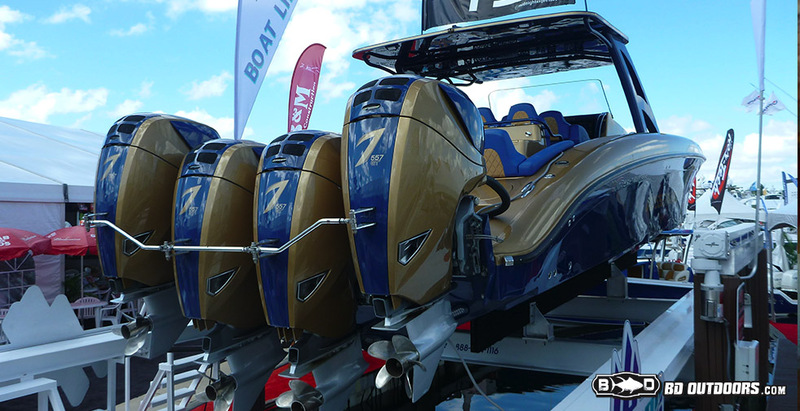 Feel the power of the new Seven Marine 627’s and yes that stands for 627 horsepower each. Unbelievable. 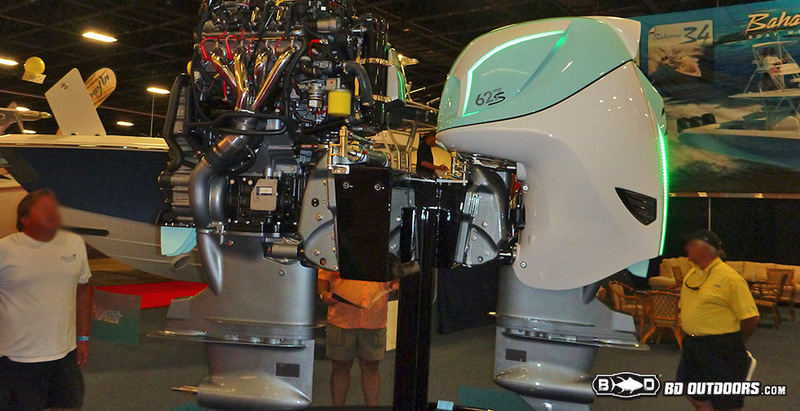 Seven Marine had their newest 627 horsepower outboards on display. Built in led lighting and custom colors pretty up the raw power of the fuel injected, marinized 6.2L supercharged small-block V8, managed by GM’s powerful MEFI 6 engine controller. 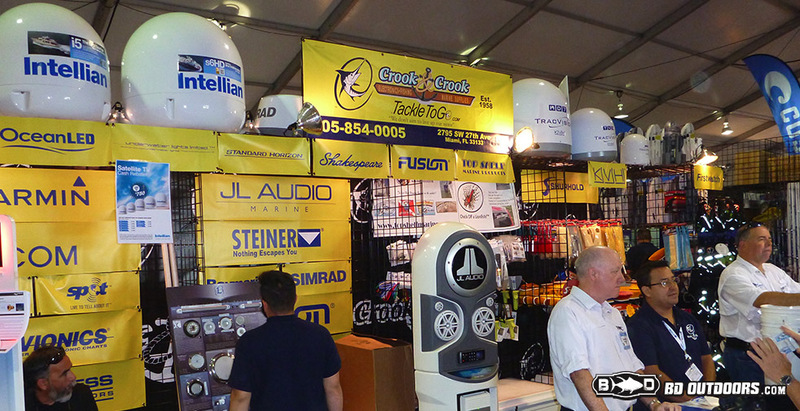 The Crook and Crook tackle booth was hopping with a wide sampling of products from their Miami store and the online warehouse. They had some great stuff and killer deals. King Sailfish Mounts had a wide variety of fish mounts on display. 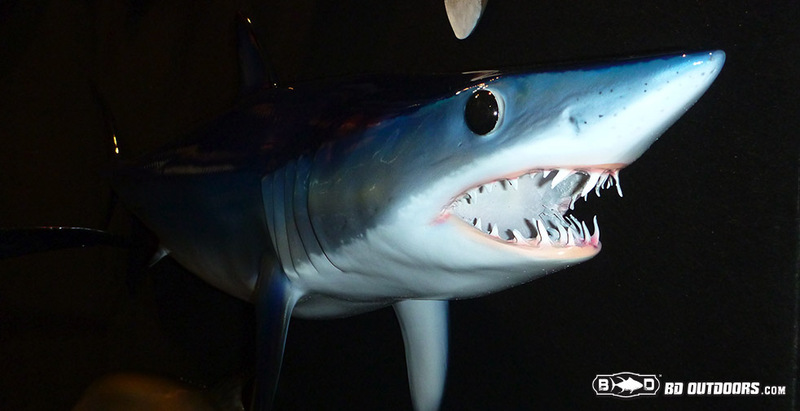 This mako shark was a stunning example of the experience behind their work. 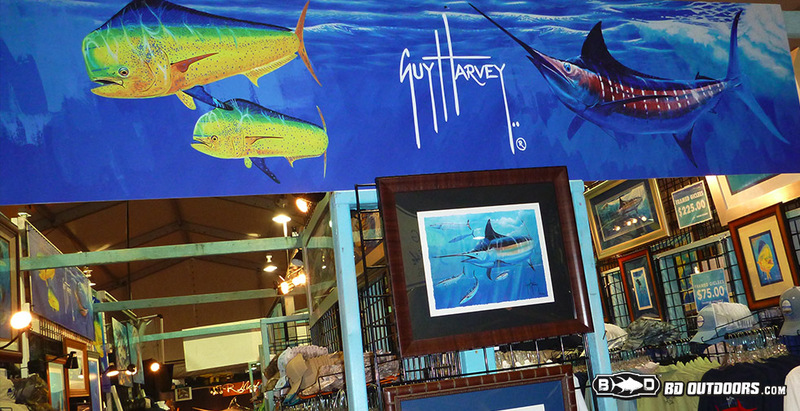 Guy Harvey was well represented at his booth and was there in person to sign shirts and products. Always down to earth and genuine, Guy Harvey is an amazing artist and asset to the fishing world. Speaking of works of art, the wide array of fighting chairs and rocket launchers by Release Marine is stunning. The Penn International was well suited in these works of functional art. The famous Grady White line continues to grow as new models and features are incorporated into this long-lived industry standard. 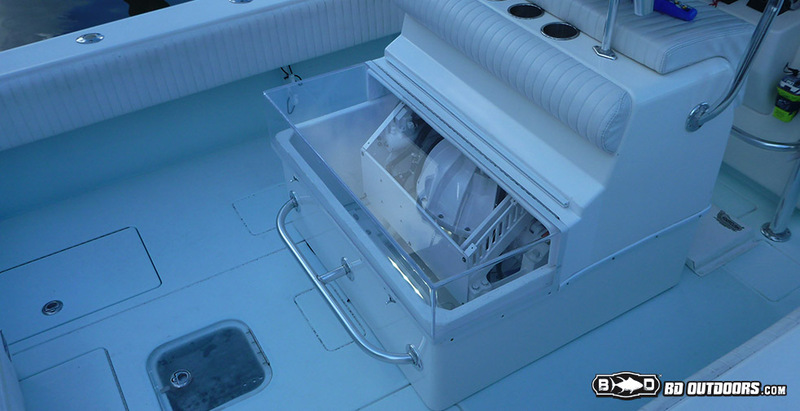 Ocean LED, makers of quality underwater LED lighting for your boat, no matter the size. 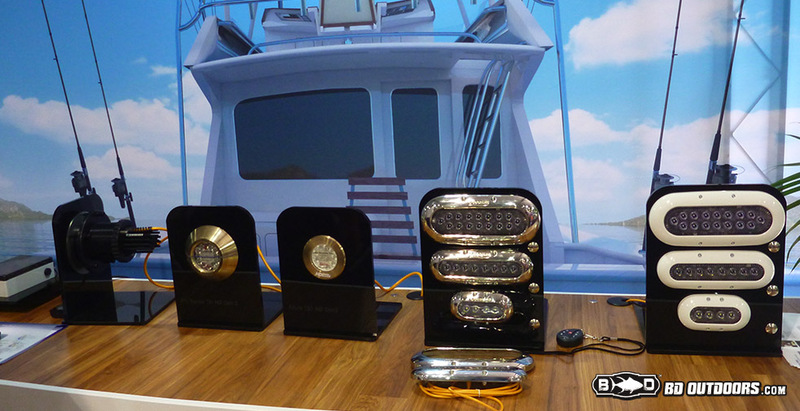 With several lines to fit your boat lighting needs, Ocean LED has a variety of options. New this year was an controller app for your smart devices and new underwater dock lighting. 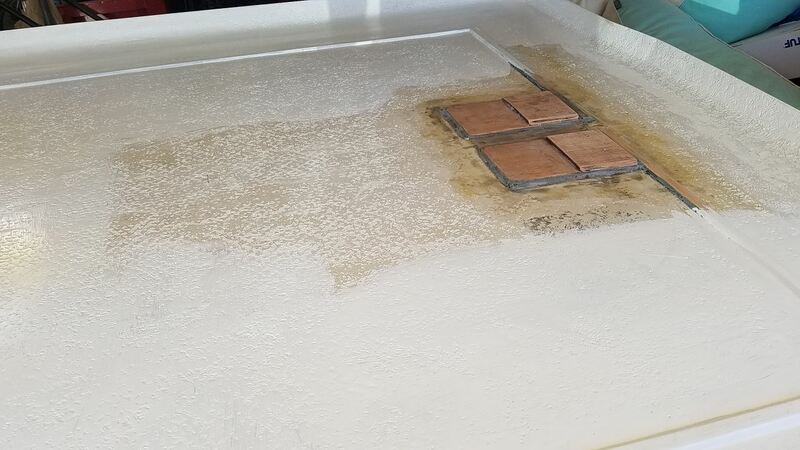 Check out our video on how simple they are to install. 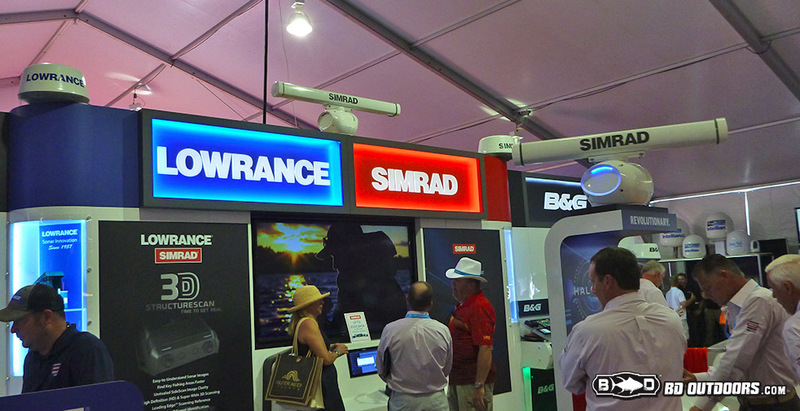 Simrad was spinning the amazing new Halo radar in the electronics tent. The Halo combines incredible up-close imaging with long range ability making it the most complete radar system. 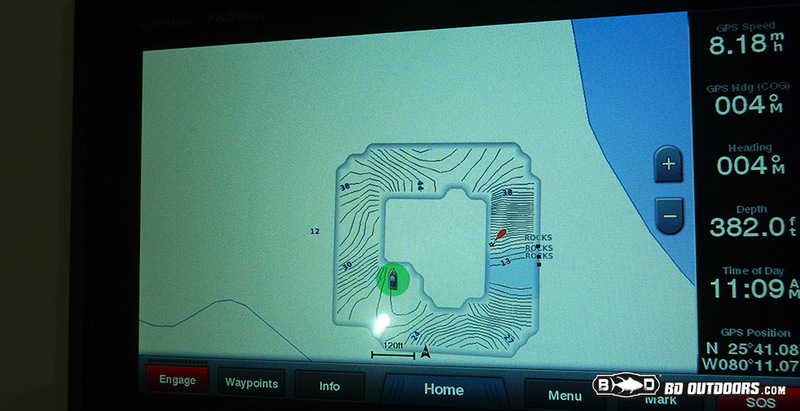 Lowrance’s 3-D Structure Scan was blowing everyone’s mind when they saw the units fish finding capabilities. 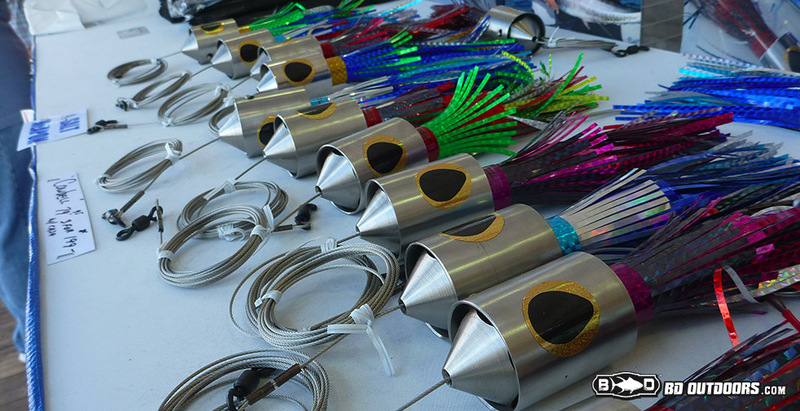 Ballyhood Lures are made in California, but traditionally used on the East Coast and Caribbean, until now with the wahoo in SoCal waters. These unique trolling lures are designed for catching wahoo without the use of large, cumbersome weights between you and the fish. The ability to see into the darkness increases your boating safety exponentially. 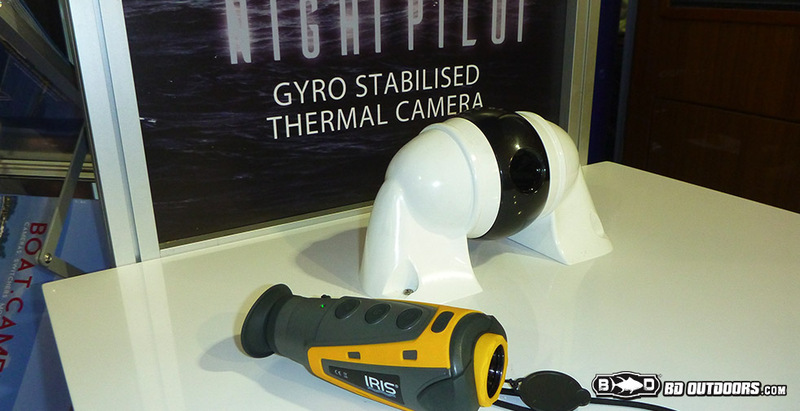 Now the Iris Innovations has introduced a gyro stabilized thermal camera to keep the picture steady despite the motion of the boat. They also have a hand-held night vision spotter picture too. 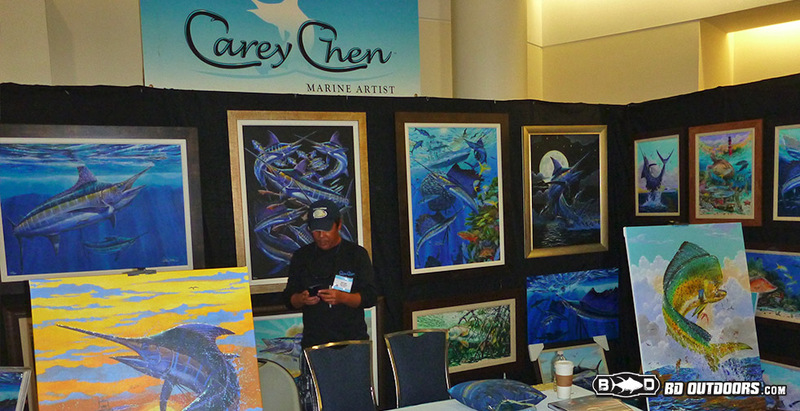 Incredible marine artist Carey Chen was there with many of his paintings that are so good. The big boys were here too. 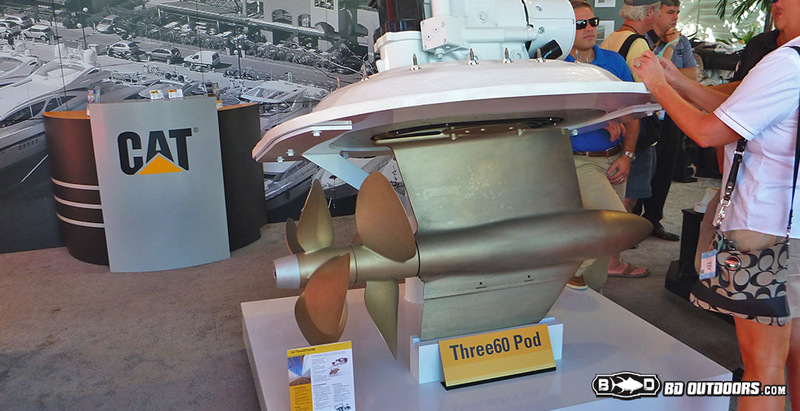 CAT had their flagship engines on display including the Three60 Pod drive which spins around under the boat to give unmatched maneuverability and economy. The demand couldn’t be higher for a boat than for the Freeman Boatworks. 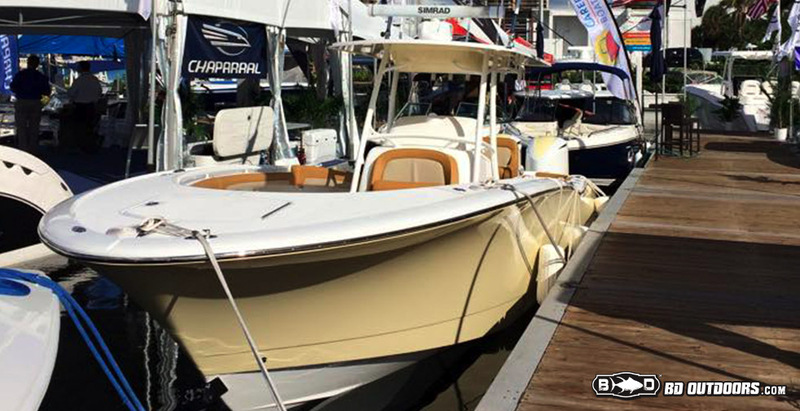 Mind-blowing ride and one heck of a well made fishing platform, this 37-foot Freeman at the show had a pair of the Seven Marine Outboards instead of the normal triple 300’s. 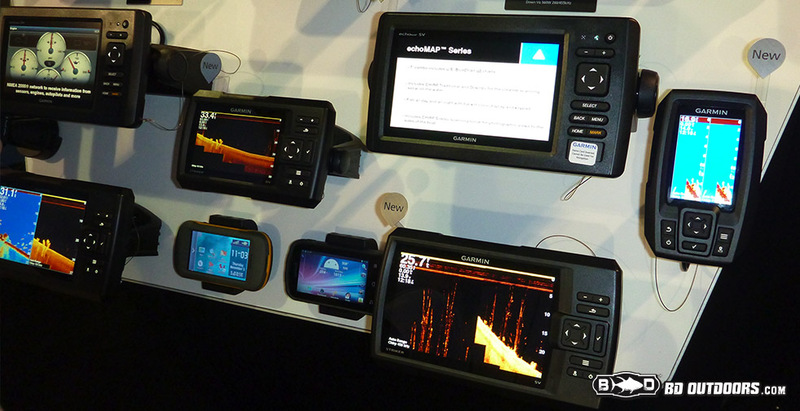 Garmin had a display of their many new cutting edge units that now offer chirp technology standard. Even the smallest units have the capability of much larger machines. One exciting new feature that will come standard on new Garmin plotters or a free upgrade to previous modern models in the near future is the Quickdraw feature. Quickdraw uses the current data from your own sounder to fill in the detail on your charts in realtime. No downloading to be done, the new sonar details are stored on your own SD-card. 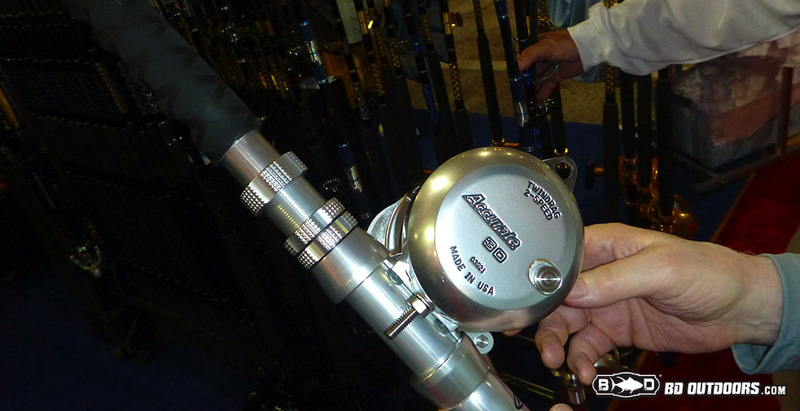 When you want to impress, you break out the Accurate reels and put them on your custom rods by Connley Fishing. 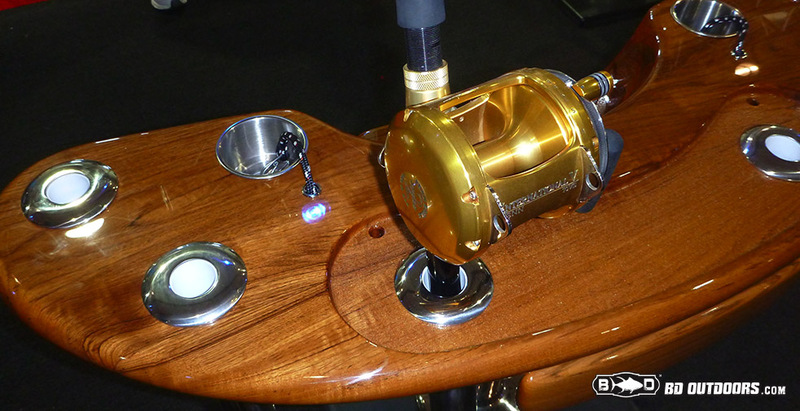 Connley Fishing has been building custom rods and outfitting boats since 1989 and is based in South Florida. The artistic talent and technical skill of R Mended Metals was stunning. 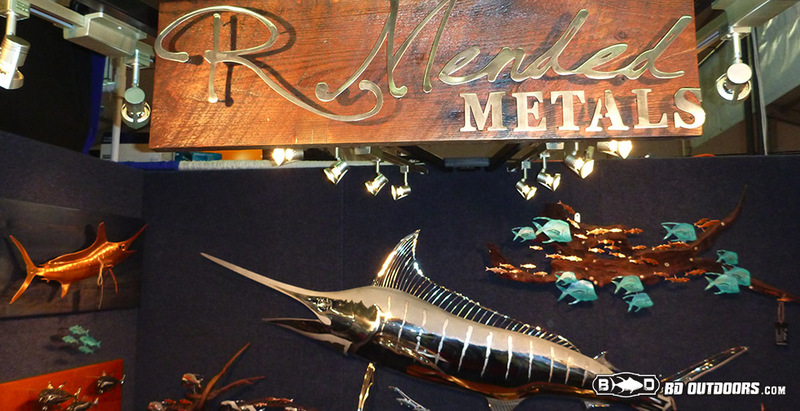 Metal sculptures made from stainless, bronze and more were so impressive and realistic. Can’t wait to see more. 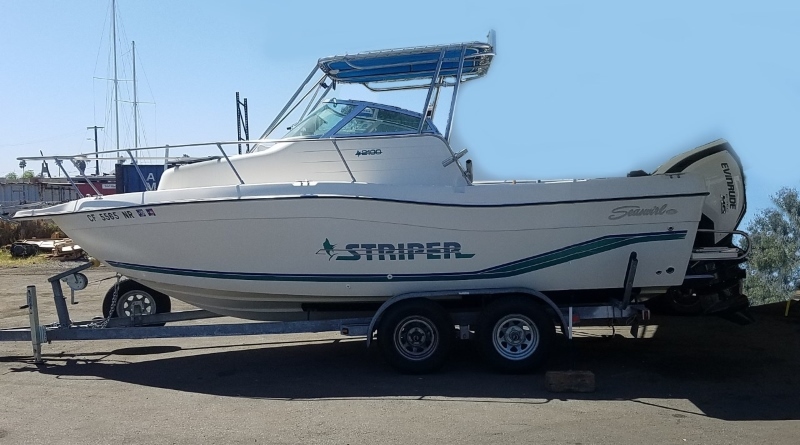 The Sea Keeper was on display in a center console boat to give people first hand look at the stabilizing ability of this incredible unit. 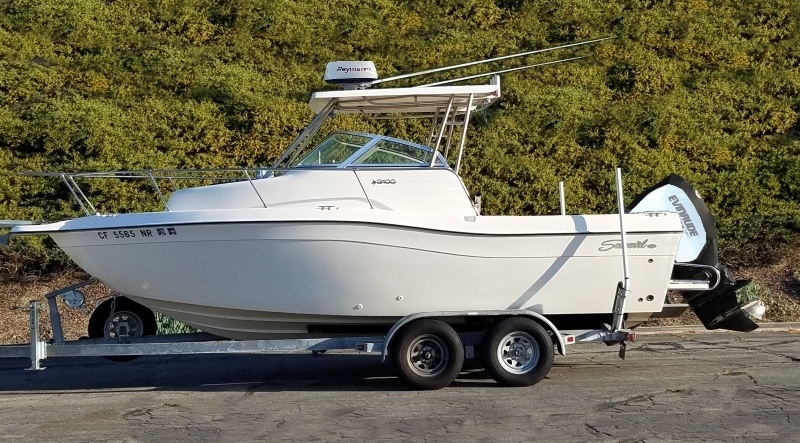 The Sea Keeper takes almost all of the roll out of your boat and this DC powered version is being designed for mid-sized center consoles. 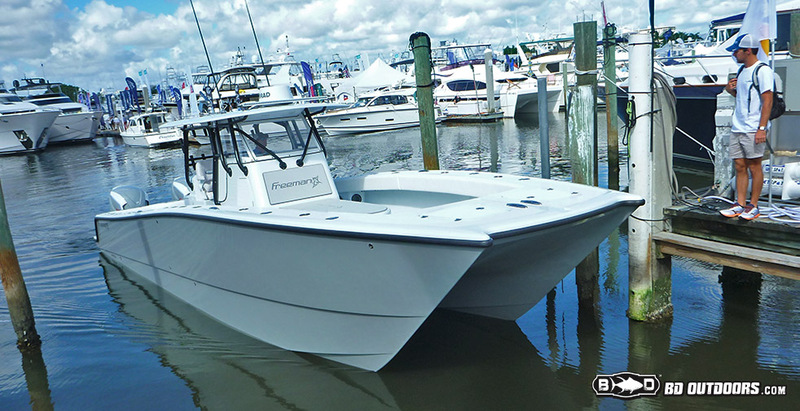 The new Mag Bay 33 made the trip cross country to give Florida its first look at these premium-built, semi-custom fishing and cruising center console boats. 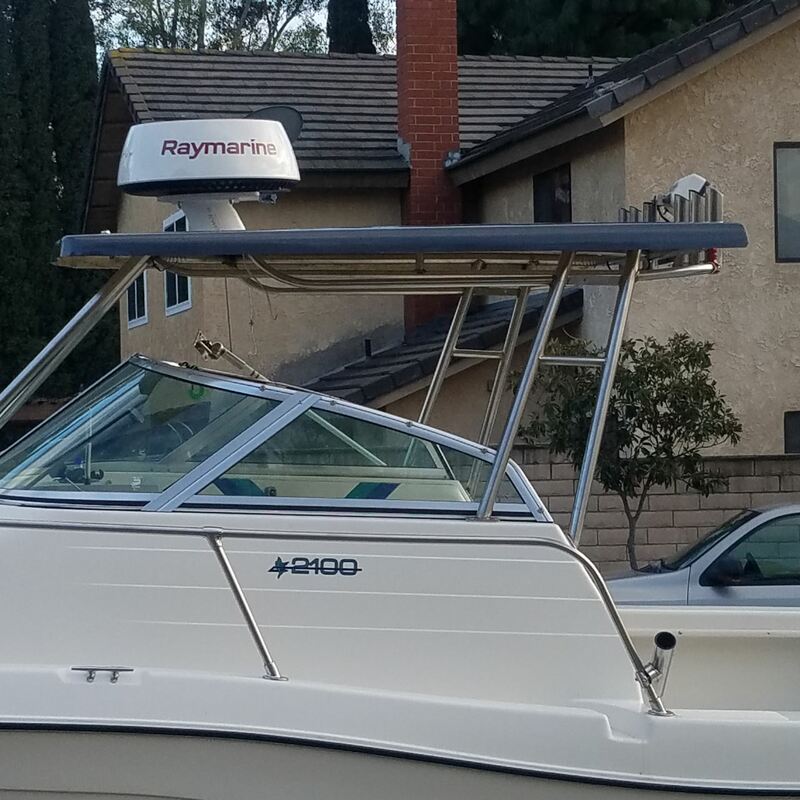 The Mag Bay is decked out with the best hardware you can find and the boat is very well laid out for fishing and cruising. Lots of storage that is watertight and easy to access. The Mag Bay 33 is just as awesome on the inside as it is on the outside. 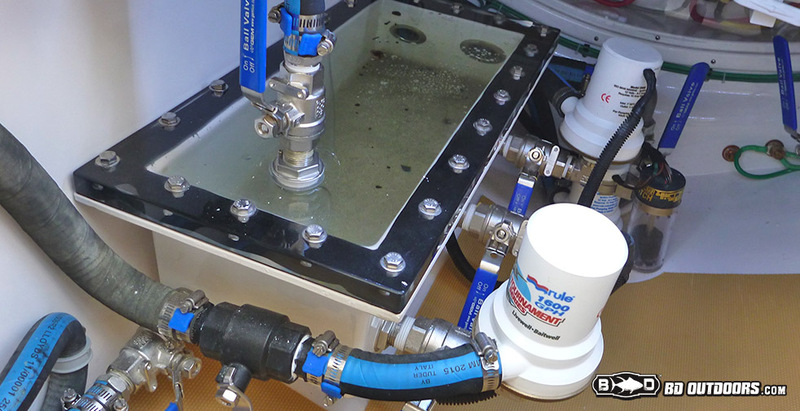 Check out the sea chest for all raw water systems. 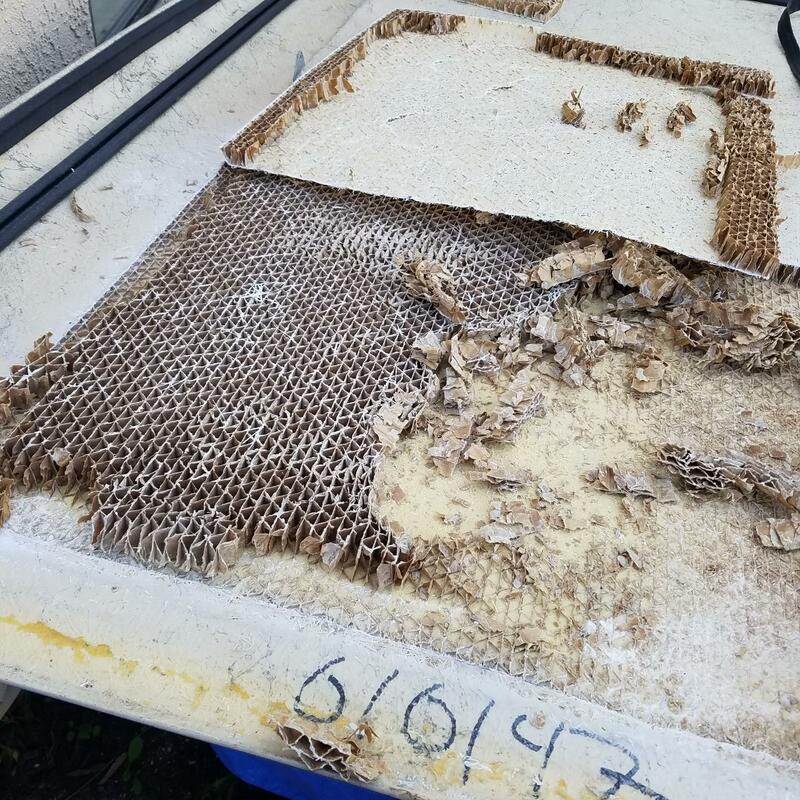 Nothing but the finest and overbuilt to last. 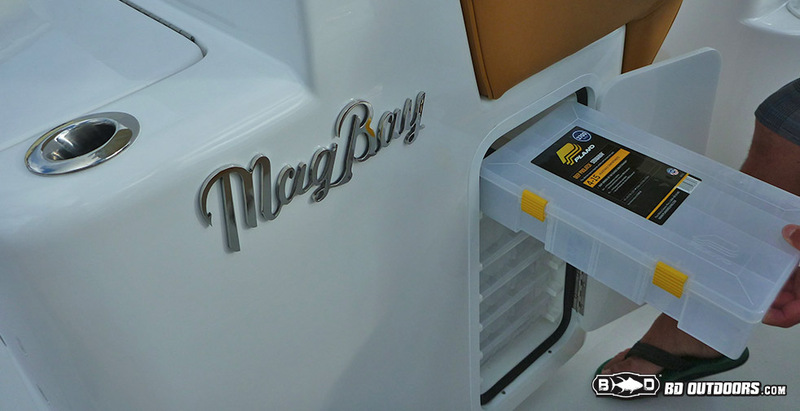 The Mag Bay follows in the family heritage of the original Cabo Yachts and this is the proof. They take their time and do it right. 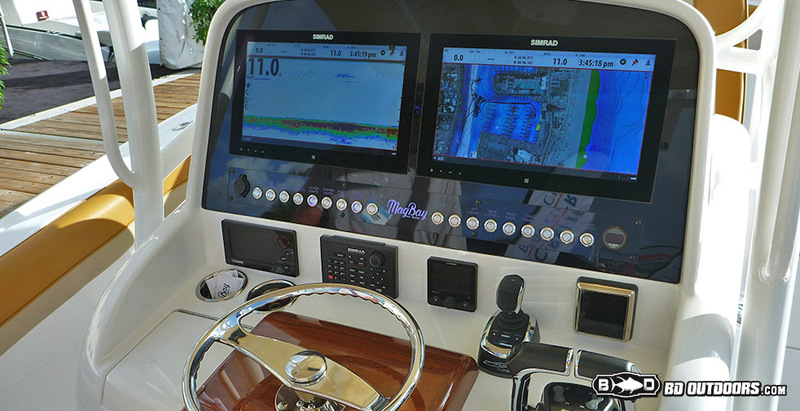 The Glass Dash option of the Mag Bay 33 coupled with the new Simrad units made an impressive and gorgeous electronics package. 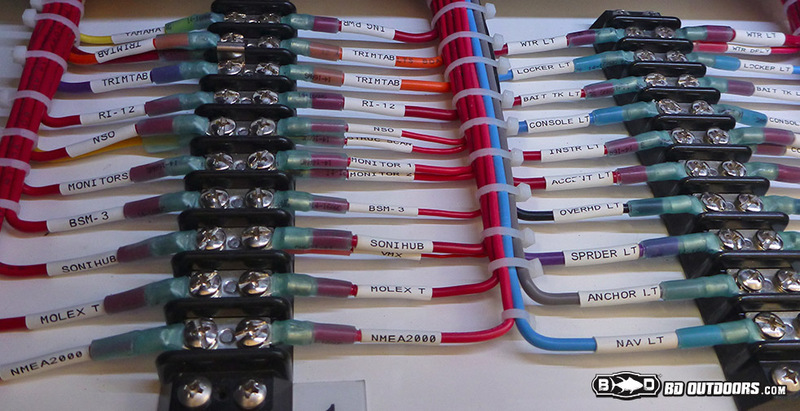 You can do anything with these electronics. 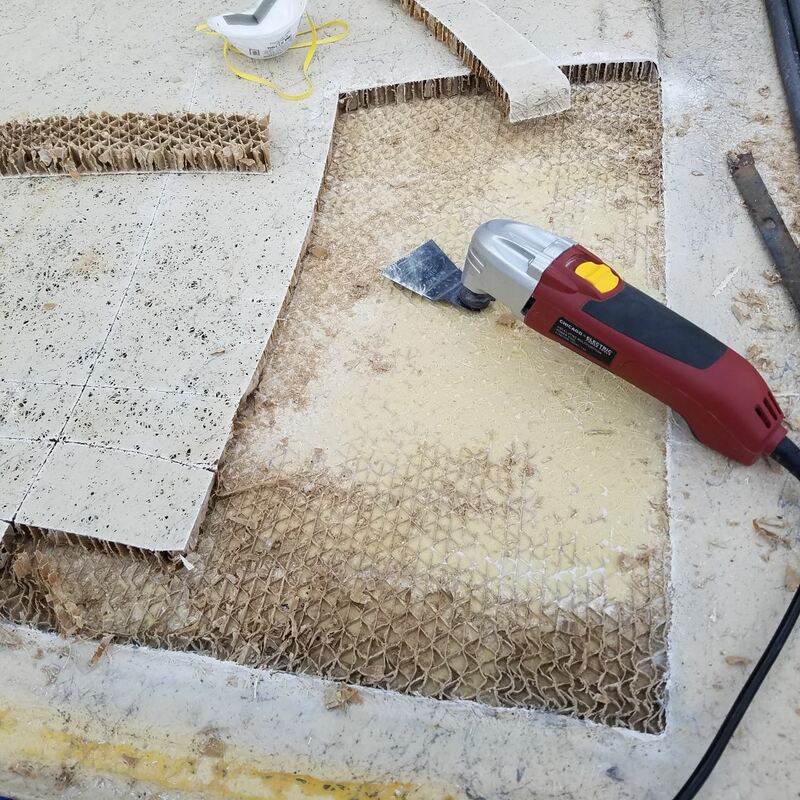 Stepped Hulls – Is A Stepped Hull Boat The Right Choice For You?